One man's fortune holds the key to a nation's fate in this sensational debut novel set in 18th-century Sweden. 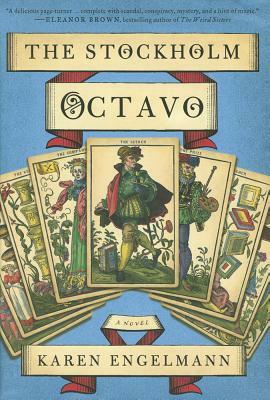 The Stockholm Octavo by Karen Engelmann transports readers to a colorful Scandinavian world of intrigue and magic in a dazzling golden age of high art, music, and opulent fashion. A masterwork of historical fiction in the vein of Patrick Suskind's classic novel, Perfume, Karen Engelmann's The Stockholm Octavo is mysterious and romantic--as magical and enthralling as The Night Circus by Erin Morgenstern--and features a brilliant and unforgettable cast of extraordinary characters. “Fantastic . . . This rollicking adventure story reads at times like a fairy tale, with Good Guys and Bad Guys and obstacles to be recognized and overcome. It’s all quite fun. As either historical novel or adventure story, this clever first novel should appeal to a broad range of readers.